Do you remember your life pre-kids? Pre-school / nursery runs? Pre-numerous clubs, activities, parties and trips? Yes, life was far less hectic. Your time was your own and you could go to the gym for a decent work out and even grab a leisurely coffee afterwards. Bliss. Don’t get us wrong, we know you wouldn’t have your life any other ways now but we understand that life with children is hectic and more often than not it’s our training schedule that is first to suffer through either not being able to find the time or muster the energy to hit the gym. 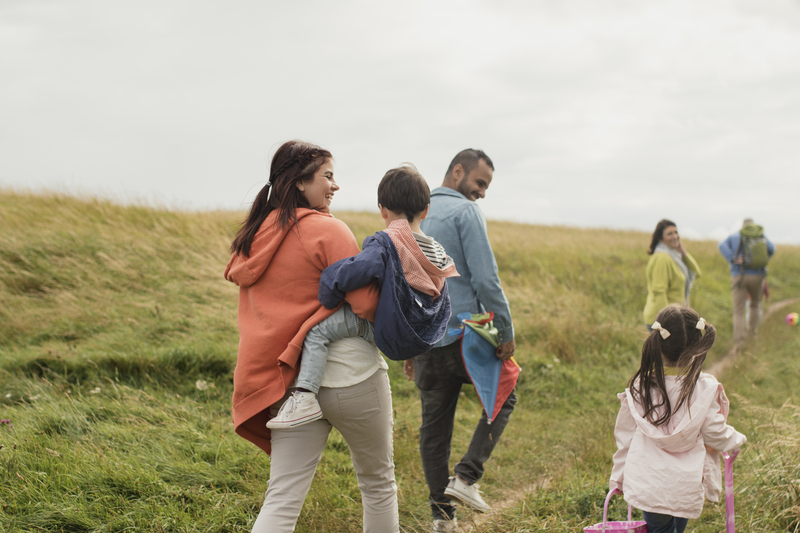 During term time you probably find that you have settled into a routine that works for you, which allows you to fit in regular exercise, whether it’s a trip to the gym once you’ve dropped the children off at school, or a quick run before it’s time to collect them. Unfortunately school holidays throw a spanner in the works and yet again exercise tends to take a back-seat. With the end of term just around the corner, we’ve put together some top tips which will allow you to fit in a workout around entertaining the children. You’ll have access to a calendar detailing the school holidays dates well in advance so take the time to plan ahead to ensure you stay on track with your training. If you know a holiday is coming up, work out realistic times which allow you to fit in exercise and then write them in the diary, which is proven to help with staying power. If you can, co-ordinate childcare with a partner, a friend or family member. They can provide you with a child-free hour, which could enable you to hit the gym for some much needed ‘me time’. Plus, there are bound to be other parents in the same situation so you could agree times to look after each other’s children so you can both fit in some exercise…and the children will be happy to have a playdate. With your normal term time routine out of the window it’s best to have a flexible approach to exercise during the holidays and don’t beat yourself up if you miss a session or two. Rather than getting stressed about missing your usual class or swim just look for other opportunities to squeeze in some training where you can. This might be getting up before the children (if at all possible) and fitting in a workout without interruptions or exercising at the end of the day once they are in bed. If this doesn’t work for you, grabbing ‘bite-size’ sessions throughout the day can be just as effective. For example, doing a 10-minute session of weight training, body weight training or stretching up to three times a day can still put your body through its paces without having to take too much time out of your day. School holidays could be an opportunity to get creative with your fitness. If you are unlikely to be able to get to the gym or to your usual classes, then treat yourself to a fitness DVD or find an online platform to demonstrate different work out options. Once you have found something you enjoy doing, it can be your ‘go-to’ form of exercise during the school holidays and you don’t have an excuse to let your fitness slide. If you are able to get to the gym, just not at your usual times, have a look at what classes are running and give them a go. It can be a good opportunity to try out a new class and challenge yourself. Children have an endless amount of energy to burn so why not get the whole family involved? Round the children up and take the dog for a walk. If you don’t have a dog just getting out in the fresh air for a walk can be a great way to spend quality time together while also fitting in some exercise. To keep the children entertained and get your heart rate pumping you could add in circuit style ‘stations’ along the way, such as star jumps, push ups, running on the spot, that way you’ll keep the children’s interest for longer; and who knows….it might mean an early bedtime and wake-up free night! Likewise, heading to the park can be a win-win for everyone. Take a ball and have a game of football for a great bit of cardio or challenge the children to a time trial on the play equipment. Look for parks which also have exercise equipment for adults so you can fit in a training session while the children play. If you have bikes in the garage gathering dust, now is the time to start using them. Bike rides are not only great fun for keeping the children entertained, they also provide a great workout for you, combining cardio with resistance training. Look up family-friendly cycle route in your area and give them a go. With some careful planning and a flexible approach there is no need for your fitness to suffer during the holidays, embrace the lack of routine and have fun! 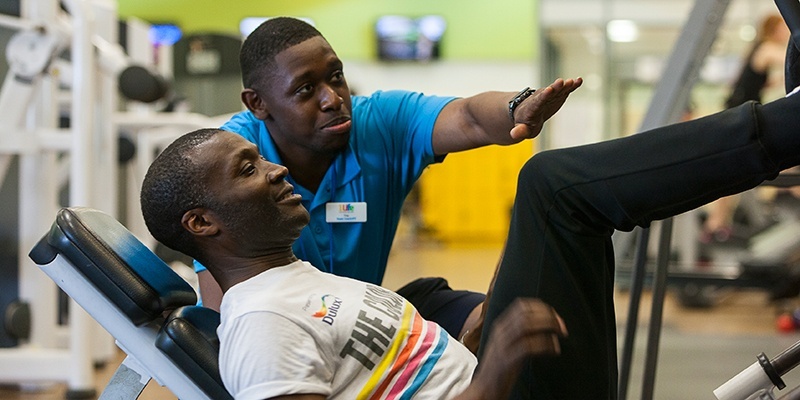 For more information about work outs and training at your local 1Life centre simply click here. 1Life is a forward thinking lifestyle and management solutions company that engages with people in local communities to enhance lives through health and wellbeing, physical activity, learning and the arts.